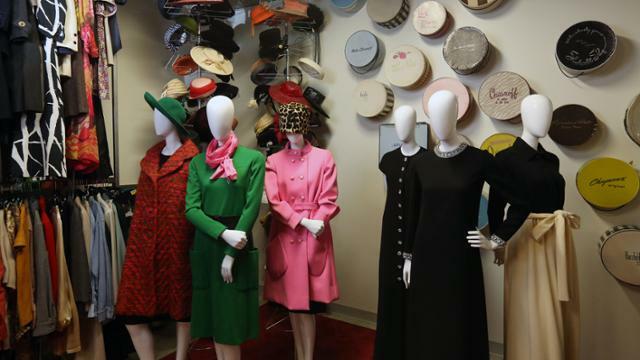 JCCC is the safe haven for chic and culture as the repository of the Kansas City Regional Fashion Group International collection containing more than 1,500 pieces of apparel: 500 gloves, scarves and undergarments; 275 hats; and 150 pairs of shoes dating from the 1850s to the 1990s. "This is a collection of original garments worn primarily by Kansas City's elite," McCrillis said. Notable designers in the collection include Christian Dior (Paris); Gilbert Adrian, 1930s designer at MGM studios; Irene Lentz Gibbons, Oscar-winning Hollywood designer for Paramount, RKO, Columbia, United Artists and MGM in the 1940s; Claire McCardell, 1930-50s casual sportswear designer; Elsa Schiaparella, dominant 1930s New York designer; Garavani Valentino, leader of Italian haute couture; and Paula Varsalona, originally from Kansas City, now a New York City couturier of high-quality silk and imported lace wedding gowns. McCrillis says this collection probably contains one of the most extensive collections in the world of pieces by Norman Norrell, another New York designer, with 174 garments. "Norrell was a favorite designer of Kansas City women in the 1960s, when he often attended galas at The Jones Store," McCrillis said. "He was known for his clean silhouette and fine tailoring." 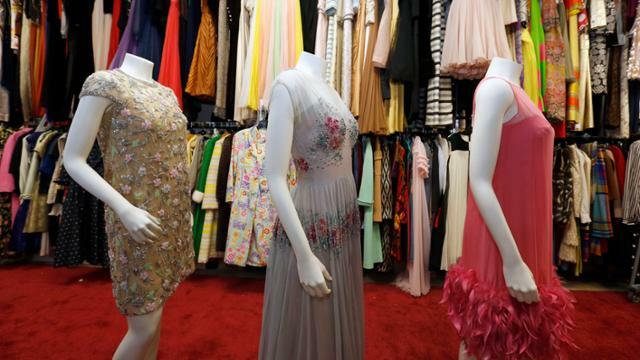 The collection came to JCCC through the Kansas City Regional FGI, which had collected Kansas City women's fashions by top-notch designers for more than 25 years but no longer had means for storage. For years the clothes had been stored in a cave in Kansas City, Mo. McCrillis persuaded the college to house the collection as an educational tool for students in the fashion merchandising and design program. "Most of the really fine fashion and design programs have this type of collection, which provides inspiration and knowledge to students," McCrillis said. The collection has been catalogued and organized by designer and/or decade and is now housed in the Carlsen Center on the college campus. Electronic images of the collection are available through the Billington Library. For more information about the fashion collection and the fashion merchandising and design program, email Joy Rhodes, current professor and chair of the department, or call her at 913-469-8500 ext. 3381.